In the world of financial accounting, a journal entry constitutes the recording of an expenditure or profit on the part of a business. Journals, or financial books, contain all the accounting records of a company. When a business provides or receives a lease, it makes note of the expenditure in the form of journal entries. Many lease types exist, each of which conforms to a different standard of financial bookkeeping. Types of leases include sales type and direct financing. A sales type lease, also sometimes known as a capital lease, derives its name from its similarity to a sale. 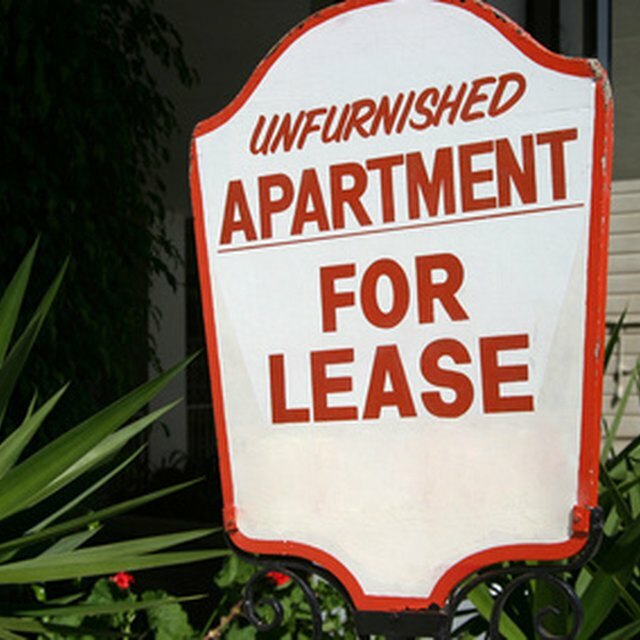 These types of leases apply in situations such as a manufacturer leasing property or the use of property, to a lessee. This could be equipment, vehicles or other goods. Because the lessee receives the use of property in exchange for payments and assumes the liability for the asset, the lease resembles the purchase of an item. However, unlike purchase situations, the lessor expects the lessee to return the equipment or provide payment for its purchase upon the expiration of the lease. A direct financing lease bears similarity to a sales type lease in that the lessor provides property while the lessee provides regular payments in exchange for the use of that property. The primary difference between these lease types revolves around the value of the lease in relation to the property. In a sales type lease, the lessor records a profit or loss on a property based on the amount of payments received compared to the value of property when leased vs. when returned. When a lessor leases property under a sale type lease, for instance, the lessor hopes to earn profit on the property in addition to any money earned on interest. In a direct financing lease, the lessor only earns a profit on interest, charging payment amounts that directly equate to the value of the property in question. At the inception of a direct sales lease, the lessor creates a journal entry that debits, or records the profit of, all future lease payments while crediting, or recording the loss of, leased assets (property) and unearned interest revenue, or any difference between the total lease payment amount and the value of the asset. The lessor subsequently records each payment on the lease as a debit, including all interest earned. When a lessor provides a sales type lease, journal entries debit the value of lease payments and the value of the asset, because the lessee assumes liability for the asset, and credits unearned interest and the loss of sale value and inventory incurred by leasing the property. Is Income From Land Rent Earned Income? When a lessee takes on a capital lease it records the asset, or property, in question as an acquisition, or debit, because the lessee assumes liability for, and therefore temporary ownership rights to, the leased property. The lessee of a direct financing lease records payments made against the value of the property and interest paid as credits. When a lessee takes on a direct sales lease, that company or individual makes no amortized payments, or payments against the value of an asset, but only payments for the use of the asset, recorded as credits. Unlike sales type leases, direct financing leases do not allow lessees to record the property in question as an asset, as the lessor retains liability.